Luis was only in the 5th grade when he was ensnared by the gang lifestyle. The lure of power, respect and intimidation took over his life. “I started robbing, stealing, extorting…getting into fights, sending people to the hospital,” explains Luis. “I brought nothing but disaster and destruction to my life and others.” From middle school to high school things got worse, alcohol and meth soon came into the picture. By 21, Luis was sentenced to 70 months in prison for assault. Shortly after his release, Luis was drawn back into the gang lifestyle. “Things were dark, there was wickedness in my heart.” Soon he was facing jail time again, but this time he was offered an option to go to rehab instead of jail. Luis’s ex-girlfriend and mother to his then infant son suggested the Union Gospel Mission LifeChange program. She was a resident at LifeChange for Women and Their Children with their son. She told Luis how the program had changed her life. “No one ever shared the gospel with me before.” Here at the Mission I started seeing people speak into my life, telling me God loves me.” Shortly after arriving at the Union Gospel Mission Luis started working in the Homeless Services department serving food to the homeless guests. 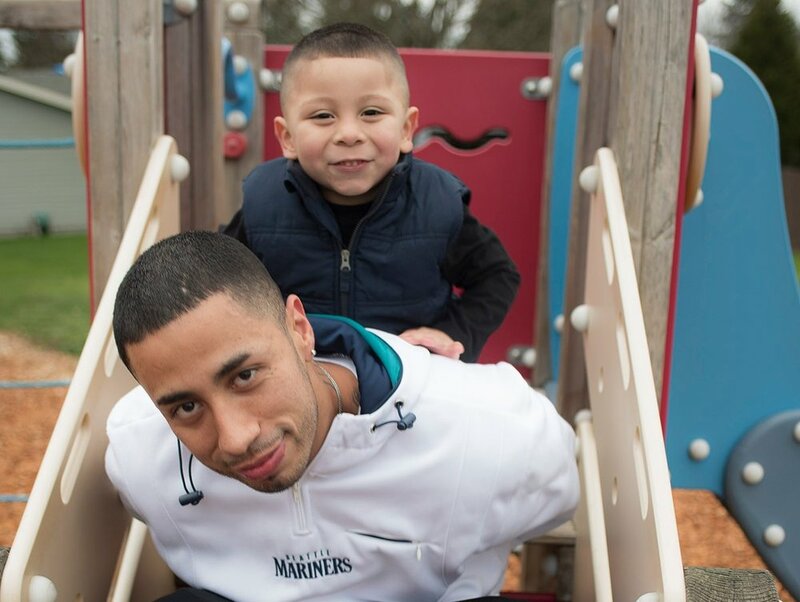 “God was working in my heart showing me that our purpose is to serve others…I started loving others and having compassion for the homeless, God was working on my heart,” said Luis. After a few weeks in the program Luis gave his life to Jesus and got baptized. UGM’s LifeChange is a Christ-centered recovery program where residents live and work in a community of people committed to transforming their lives and breaking the grip of addiction. LifeChange consists of fundamental classes, counseling, work therapy, disciplship and transitional after care, at no cost to the resident. If you know of someone battling addiction or homelessness and they have had enough and are interested in a LifeChange, then contact our Intake Coordinator at mensintake@ugmportland.org or 503-274-4483.